Our batteries, which start functioning with a single touch thanks to its electronics and 'touch buttons', are designed to easily fix water temperature at desired temperature and facilitate adjustment of flow rate. It enables users to make maximum saving with minimum flow rate at minimum temperature with Eco Mind mode. This feature adds value to future generations. E.C.A. 's photocell batteries recognize your hand and open before your touch them; they close when you pull your hand. Thus, it provides hygiene in shared areas. While thinking about your health, it also thinks about the environment with tons of water saving by closing automatically. A shopping mall is visited by an average of 20 thousand people at weekends. 384 tons of water is saved a year if taps in these shopping malls are replaced with photocell battery. How do photocell batteries save energy? While water saving batteries have a flow rate of 7.5 lt/min., photocell batteries provide more saving opportunity with flow rate options of 5 lt/min., 3 lt/min. or 2 lt/min. You decide water flow duration with E.C.A. 's time adjusted batteries! 5 seconds, or 60 seconds if you want... Touch the battery once and the water will start to flow, let it flow for the time you have adjusted and when this time is up, it will shut down automatically. 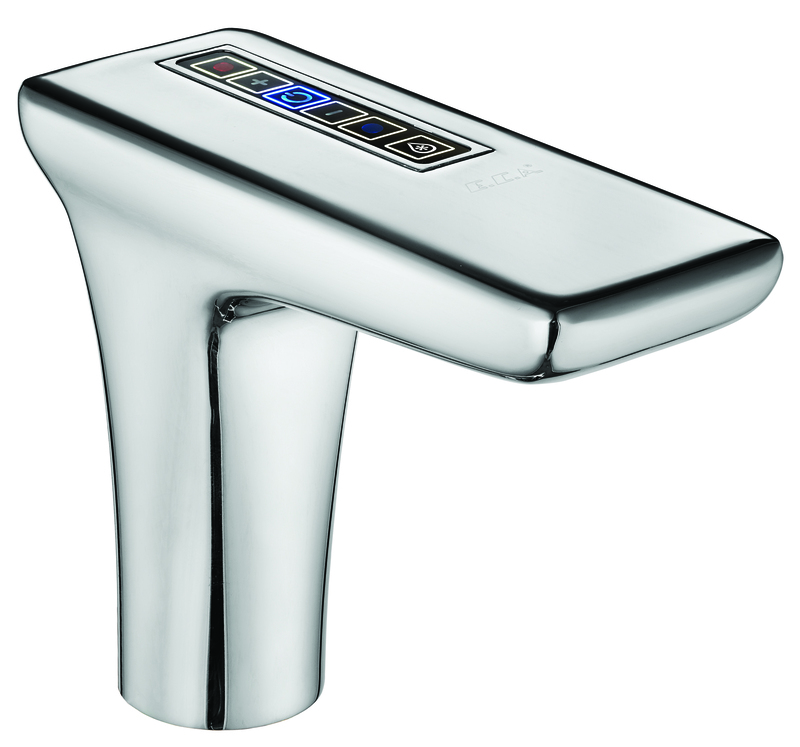 Comfort is arriving at every area where this water, with thermostatic batteries of E.C.A. Now you will be able to use two different armatures at your home at desired temperature 'simultaneously'. Thanks to our battery eliminating the effect of pressure fluctuations in hot and cold water, your battery will be at the temperature you have set after the battery is in the regime thus, you will not compromise on your comfort. In standard and mixed batteries, water is either too cold or too hot since the adjustment is disrupted in each opening-closing after battery is in the regime. In the event that cold water is cut unexpectedly, incoming hot water is also cut thanks to the thermostat system, thus negative reflection of temperature changes arising from sudden changes in pressure to user is prevented. Flowing water is limited to 38°C, which is the safe value for washing water temperature, through the red safety button on the battery. Control range is 20-50°C and washing water temperature values higher than 38°C is reached by closing the safety button. Moreover, water runs for nothing and tons of water is wasted every year until it reaches the temperature you desire. 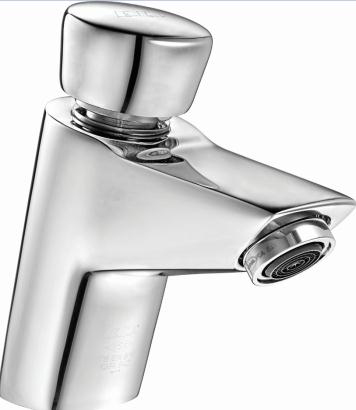 You can save 26 tons of water a year by using thermostatic battery instead of a dual handle armature. What can be done with 26 tons of water saved? · Dishwasher can be operated for 2166 times. · Washing machine can be operated for 147 times. · 5 minute shower can be taken for 433 times. Amount of water to be spent and maximum water temperature are decided by the user thanks to heat and flow rate adjusted special ceramic cartridges of E.C.A. armatures. Thus, unnecessary water and energy consumption is prevented. Maximum energy is saved by preventing unnecessary central heating boilers with armatures and special ceramic cartridge products opening in cold which are specially designed by E.C.A. 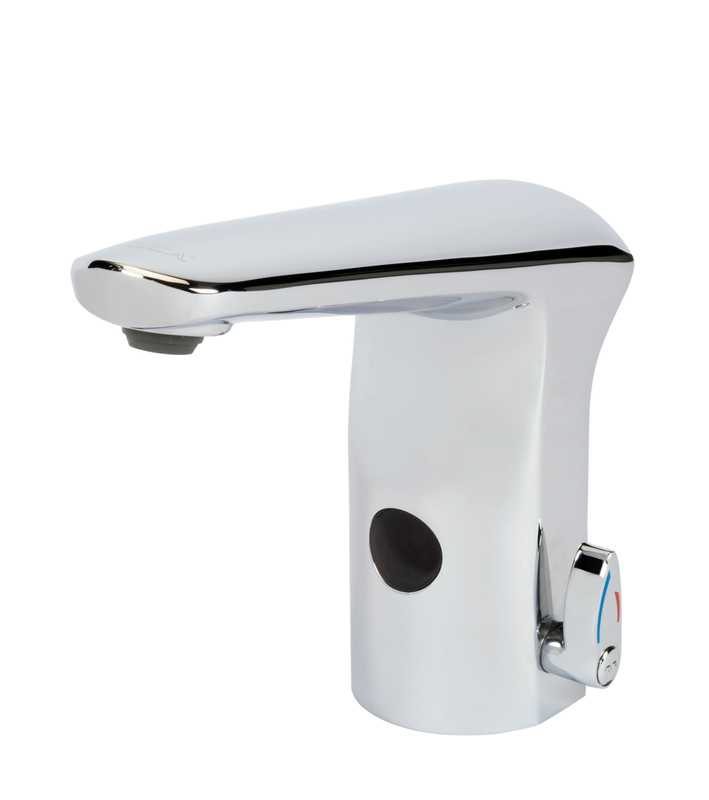 In addition to that, water saving is also ensured through aerators with special flow rate limiter. Water consumption, which is approximately 20 L/min. 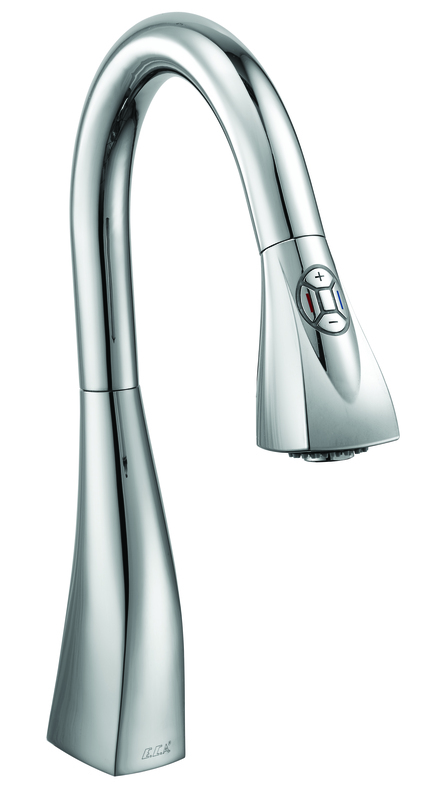 in hand shower and showerheads, can drop down to 6 L/min. in E.C.A. 's upper set solutions. Thus water saving up to 70% is obtained. While a standard sink battery drains 17-18 litres of water/minute, mixed batteries drain 7,5 ~ 8 litres of water/min. and thus, we save water. What is amount of water saving to be made by a family composed of 3 persons, each of whom uses water for at least 5 day every day, by using mixed battery? Family uses water for a total of 15 min; that makes 270 lt a day out of 15 x 18 lt, which means 97.200 lt. of water per year. If the family uses mixed battery, they will use 120 lt out of 15 x 8 a day and 43.200 lt of water in a year. Family saves 54 tons of water by using mixed battery. What can be done with 54 tons of water saved? · Dishwasher can be operated for 4500 times. · Washing machine can be operated for 306 times. · 5 minute shower can be taken for 900 times. · One can take bath in bathtub for 350 times. As known, Cu - Zn - Pb alloy (Copper - Zinc - Lead alloy) is used in faucet and battery type armature manufacturing. When water waits in armature, metallic or non-metallic components, which contact water, release various toxic substances into water. Moreover, all plastic, rubber parts and oil used cause micro-organic formations within water. All these toxic effects cause serious damage on nerve system and various diseases, cancer in particular. Most important of them is lead found within raw material. Dissolving of lead within part and dissemination of it into water within time causes irregularities in learning and concentration talents of children and affects brain development; and leads to problems such as hearing loss, deceleration of growth and behaviour disorders. Should pregnant women receive significant amounts of lead in their bodies, their unborn babies are affected by it. Lead causes joint and muscular pain, hypertension, infertility, memory loss and even crises in adults. As E.C.A., we aim to prioritize healthy, comfortable and economic consumption through standards we provide today. All non-metallic plastic and rubber parts contacting with water and oil we use in our products are procured without harm to human health and have NSF 61-9 (USA), WRAS (England) and ACS (France) hygiene certificates. Serious restrictions have been brought to lead in recent years, America and Europe in particular. However, low rates of lead reduce the processability capacity of material. As E.C.A., we also want to make lead-free material producible and usable in Turkey. TEYDEB project was executed for development of lead-free brass material through TAREL A.Ş. which is a company of the Elginkan Community and located in METU Teknokent, and patent was obtained for the material. The raw material developed is produced by ELSAN A.Ş. which is a company of the Elginkan Community.